Fully submersible (internal) filters are perfect if you have an area in your aquarium where water flow needs to be increased. They are effective if your tank carries a high bioload and is in need of supplemental filtering. 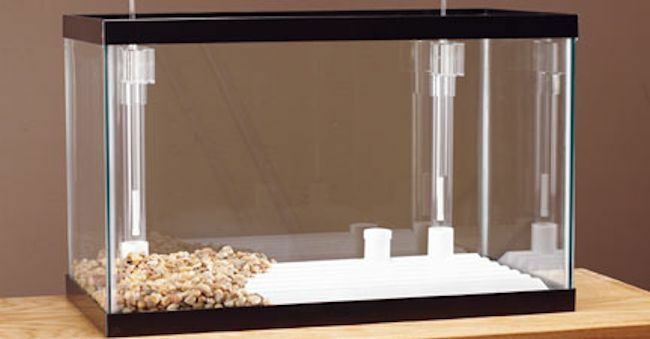 Low-water habitats, such as paludariums, are also ideal spaces for an internal filter. The general rule of thumb is to use an internal aquarium filter on small tanks under 20 gallons. Once you know that you need one of these filters, how can you find the best internal aquarium filter? Internal filters must be completely submerged in the water to work correctly. For most, the airline must be connected to the inlet of the filter. The air is driven by a pump that is situated outside of the aquarium. Air is pumped into the filter and moves through it. Then it is dispersed on the water surface. The air bubbles create much-needed movement in the water that allows it to filter the liquid throughout the entire tank. The filter can be affixed with suction cups to the tank walls, or placed on the ground of the tank. Most people place it in a corner of the tank, and most internal filters come with suction cups, so you may not have to purchase them separately. 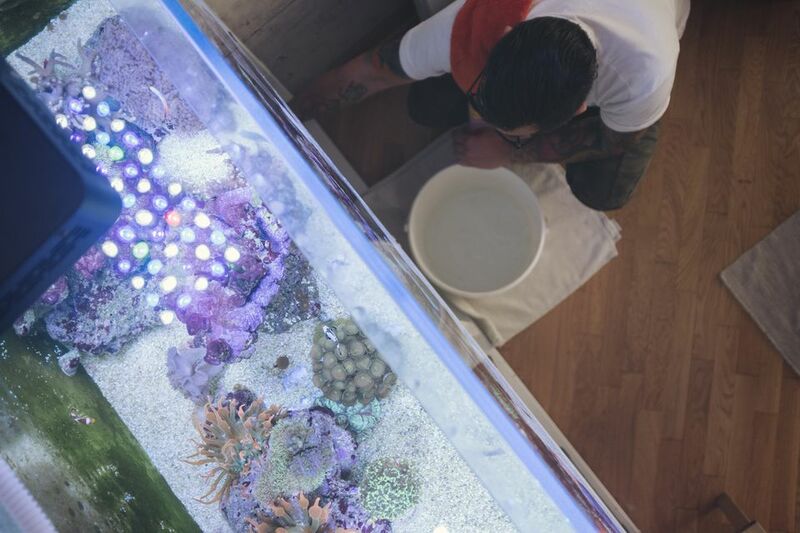 There are a few benefits of using internal filters, though not every aquarium requires one. Instead of being kept in a cabinet or hanging on the back of the tank, the placement of an internal aquarium filter allows you put your aquarium against a wall. Internal aquarium filters are also relatively inexpensive, easy to install, quiet, and they do not require a ton of maintenance. When you know more about the species that will live in the aquarium, then you can base your choice of filter on those requirements. There are a few internal filters that offer superior performance. What separates this internal filter from others is an adjustable aeration feature that thoroughly mixes air with the water. This gives it an effective gas exchange. There are also two output adapters that allow for horizontal or vertical placement in the tank, so it offers some versatility. This small but powerful filter allows for a choice of filter media. It also rarely clogs and is very affordable. Like all internal filters, the primary downside is that cleaning is cumbersome because it must be removed from the aquarium. Being able to choose different media is a perk because you can use different brands, or choose less-expensive filters. The Proquatics internal filter offers a wide range of flow rates and a sponge filter that promotes biological filtration that can break down dangerous build-ups of ammonia and keep the water healthier. This brand is produced by PetSmart stores.